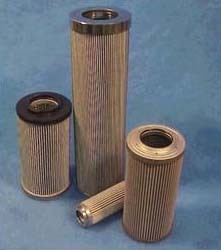 Reliable high performance elements that you can rely on to meet your critical filtration requirements. State-of-the-art automated production facilities combined with leading edge media selection provides products that protect your systems at a price that is very competitive by all industry standards. Products are manufactured up to 40" long with pleat heights to 2". Our strength is in removal ratings of 1 to 25 micron with Beta values exceeding 200.